The lawyers have handed over a letter to Varanasi DM regarding the same. 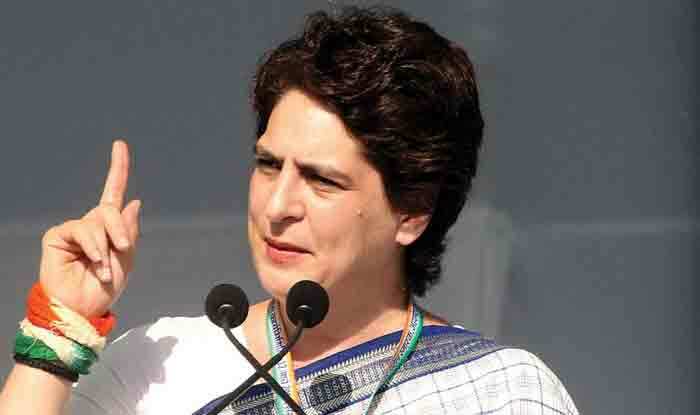 Lucknow: Congress in-charge of eastern Uttar Pradesh, Priyanka Gandhi Vadra‘s boat is yet to arrive in Varanasi but her itinerary has already raised the hackles of some, said reports on Tuesday. A group of lawyers has handed over a letter to the Varanasi District Magistrate that Priyanka should not be allowed to enter the Kashi Vishwanath temple as she was a Christian. The letter sought that Priyanka should be stopped from entering the temple, as she was a Christian and her visit would be in violation of the ancient values of Sanatan Dharma. Priyanka began her boat ride on Monday and the permission for the same reportedly came through late on Sunday only. With the boat ride, she hopes to interact with communities living by the river. According to the Congress, many of these communities come under the other backward castes or scheduled castes and are critical vote banks. The Congress leader is also expected to focus on how successful the Centre’s Ganga clean-up programme has been. Varanasi, the Lok Sabha constituency of Prime Minister Narendra Modi, is where the boat ride will culminate a day before the festival of Holi. Reports said Priyanka’s itinerary in the holy city included a visit to Kashi Vishwanath and other temples, interactions with weavers, and also a ‘Holi Milan’ programme. Mayawati had rejected the Congress offer and said the SP-BSP-RLD alliance could very well do without the Congress help.